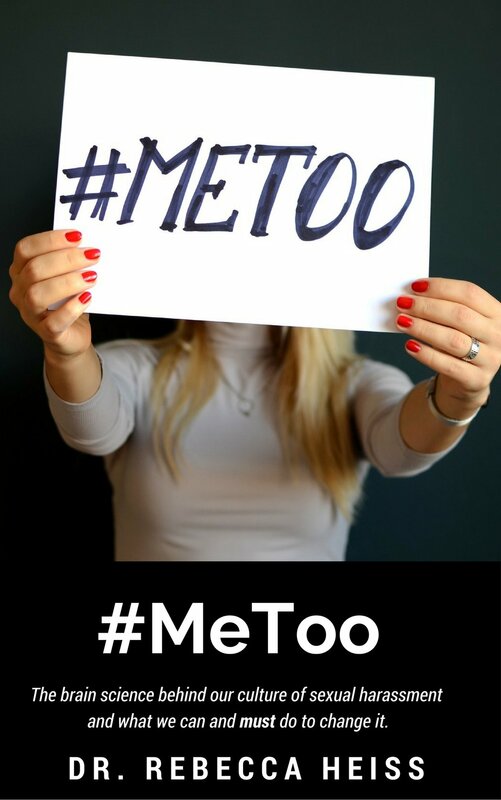 #MeToo: The brain science behind our culture of sexual harassment and what we can and must do to change it. The recent media storm surrounding high-profile cases of sexual harassment has brought this important issue to the forefront of all of our minds. But the unfortunate reality for most women (and some men!) is that sexual misconduct is always lurking around our personal and business lives. It’s time we spoke openly about how harassment affects us all. With her personal accounts of difficult encounters with strangers, colleagues, and supervisors, Rebecca brings a powerful and revealing testimony to help us all better process the challenges men and women face in fighting a malicious and pervasive societal problem. By approaching sexual harassment from a biological perspective, Dr. Heiss reveals the roots of these less than welcome behaviors to help her clients appreciate how to change their own biology for better, and prevent the misinterpretation, miscues, and miscommunications that have overwhelming detrimental and often irreversible consequences.